Dating from the mid 19th century and made in the rococo revival style. 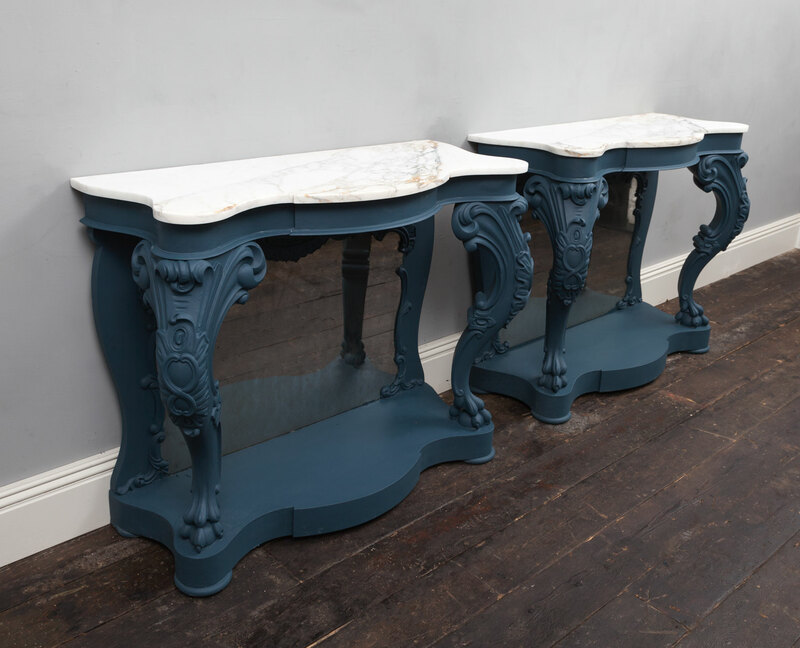 The tables are carved from mahogany and painted with Farrow and Ball Hague blue paint. 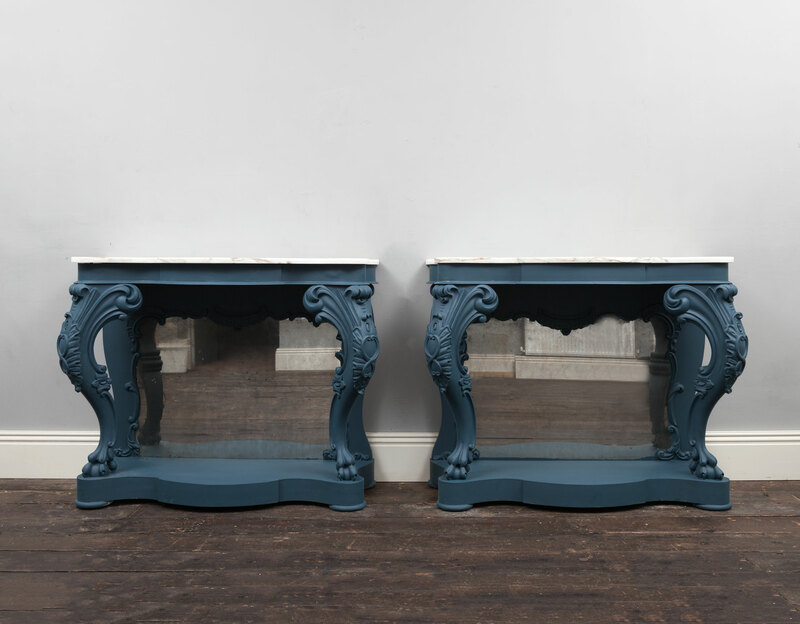 Statuary veined marble tops following the shape of the frieze rests on top and both tables retain there original mirror backs.